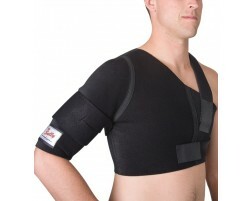 Saunders Braces & Supports for Posture, Back, Shoulder - Free Shipping on all orders! Browse our selection of quality Saunders braces like posture support, back braces, and shoulder supports. We believe in the quality of the Saunders products and are proud to offer a full unconditional 90-day Money Back Guarantee on every Saunders brace we sell. Saunders manufactures braces that help in pain relief and joint protection. They specialize in sports medicine products for the active individual. The Saunders brand is also known for its ergonomic wraps that help comfort and relieve joint pain, as well as achy muscles. Shop our Saunders braces to find supports for the shoulder, upper back and lower back.